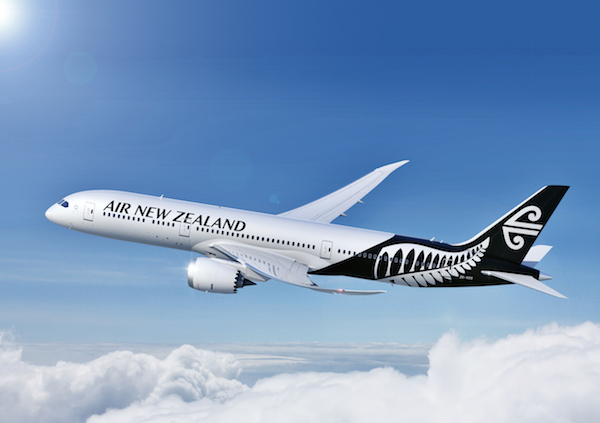 Air New Zealand has taken out two significant innovation awards at the prestigious Air Passenger Experience (APEX) Awards held overnight in Singapore. The airline received Best Inflight Entertainment Innovation for its inflight entertainment system which was first introduced on the revolutionary Boeing 787-9 Dreamliner and has been progressively rolled out across the airline’s international fleet. The system features an easy-to-navigate app driven design similar to that found on smartphones and tablets, thousands of hours of world-class content and a number of unique apps including Seat Chat which allows customers to message family and friends travelling onboard. Air New Zealand was also awarded Best Personalisation Innovation for personalising the experience for Airpoints™ loyalty members onboard. The inflight entertainment system greets customers by name and allows them to purchase food, drink and merchandise from their seatback using Airpoints Dollars™ for delivery anywhere worldwide. The system also allows customers to set preferences and favourites that are retained for future flights. Air New Zealand Chief Digital Officer Avi Golan says the airline has been increasingly looking to technology to enhance the customer experience and these awards are testament to that. “It’s incredibly exciting to win these awards. By focusing on data smarts, technology enablement and really scrutinising the customer experience inflight, we have transformed what was a traditional inflight entertainment system into a world-class, digital entertainment channel and a vital tool for engaging with our customers,” says Mr Golan. The APEX Awards are held annually by the Airline Passenger Experience Association – a network of the world’s leading airlines, suppliers and related organisations committed to elevating the level of airline passenger experience. The awards recognise excellence in cabin comfort, entertainment options, connectivity and overall experience and are the culmination of intensive peer review and an exhaustive global nomination process.